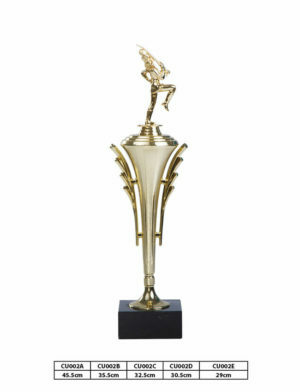 Trophy Cups are the classic symbol of victory. 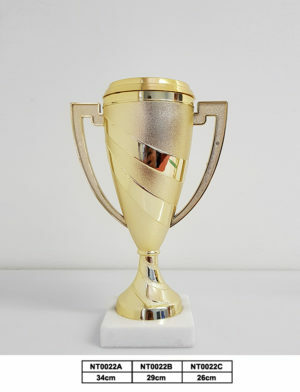 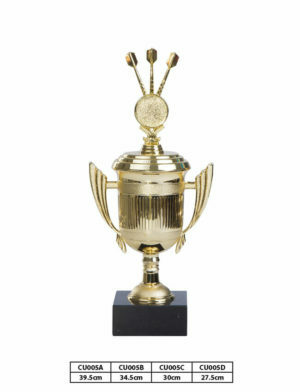 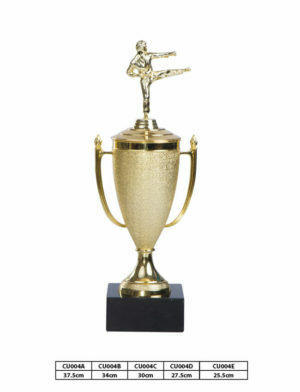 So allow your winners to feel truly victorious by awarding them with one of our top quality cups. 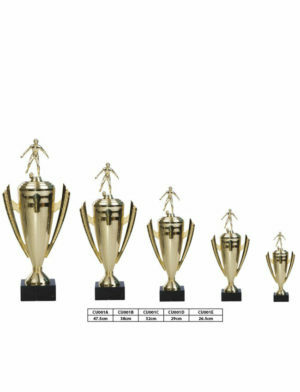 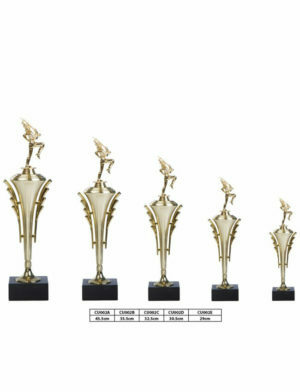 Trophies & Engravers are experts in the awards industry, and have been providing trophy cups to South Africa for many years now. 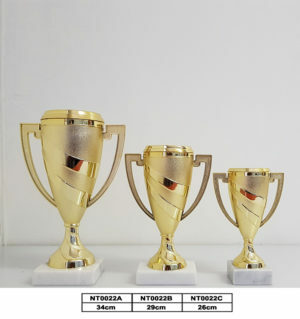 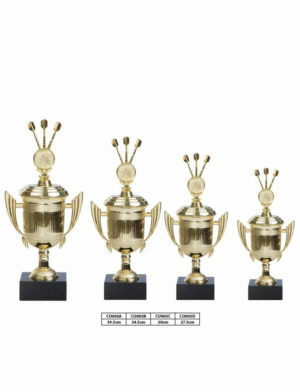 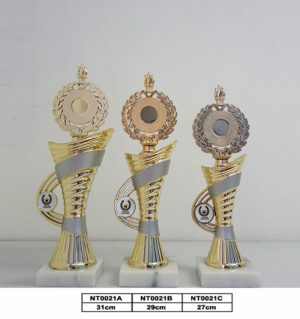 Each of our cups come in a variety sizes, making it easy for you to choose awards for 1st, 2nd and 3rd place- just get the same trophy in varying sizes! 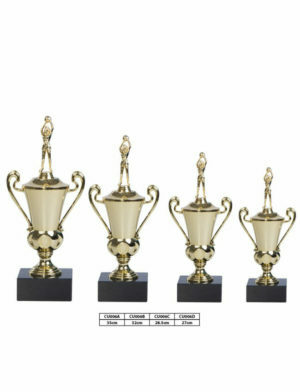 The price of the trophies increases as the size does, so this size & price variety also allows for you to choose a trophy cup that suits your budget. 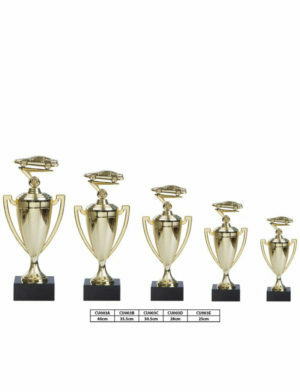 But remember, that no matter the price of our product, the quality is never compromised! 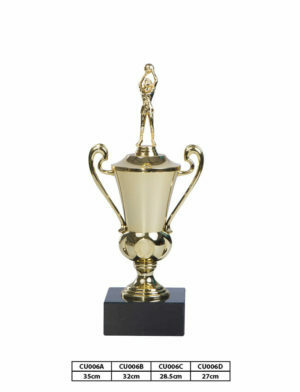 Please keep in mind that the prices of the cups include a marble base. 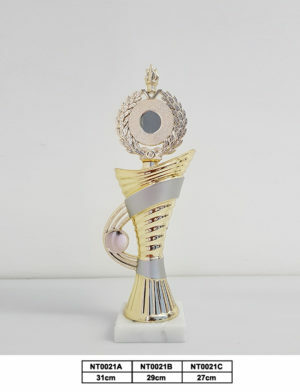 Also included is either an interchangeable figurine OR and insert holder with a 25mm standard sticker. 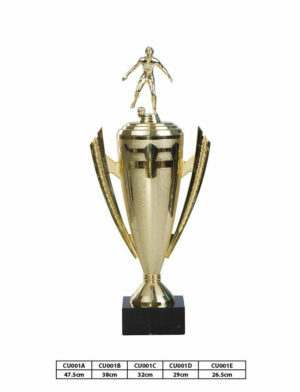 For that extra personal touch, why not make use of our in-house vinyl and engraving services? 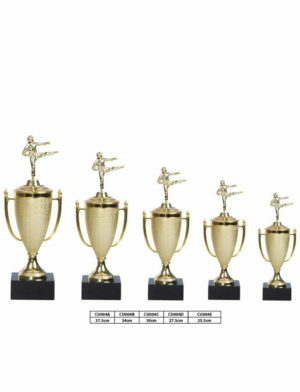 Browse our online catalogue below, which provides photos of our different trophy cups for sale. 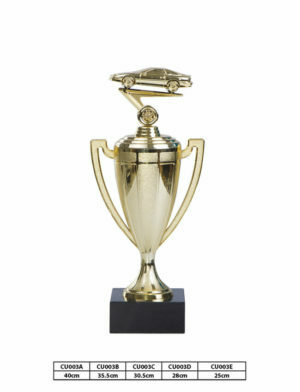 Should you have any questions, please don’t hesitate to call or email our team.